Hit songs from 198o’s- 90’s. The 80’s, in this blogger opinion was the best decade in the music industry. May we ask for God’s Blessing in the New Year. Almighty God, As we are on the brink of a brand New Year, we thank you for all the blessings you have given us this year. Toy F-16 Fighter Jet Plays Islamic Haaj Prayer Not Jet Noises, Amazon? 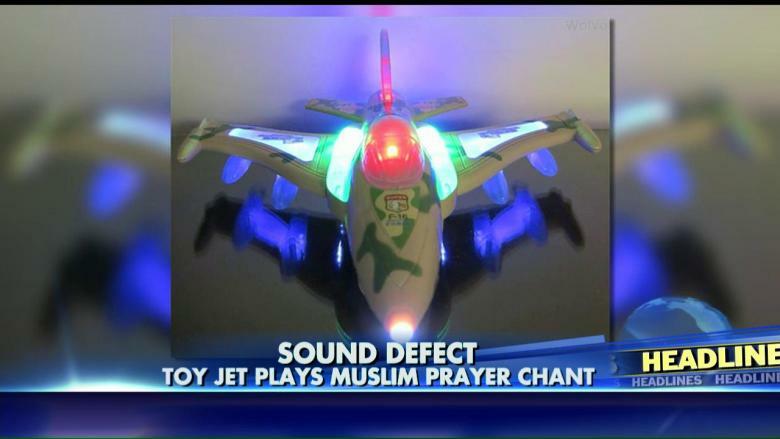 Toy F-16 Jet Plays Islamic Haaj Prayer Not Jet Noises, Amazon? This is in America. A child’s present this Christmas, a toy that chants Muslim prayer spoken during pilgrimages to Mecca, instead of jet noises. I feel for the parents of this child. Stop the madness. Oh it is a Toy company WolVol is blaming its China-based manufacturer for the defect, saying they produced a faulty batch of the toys. Restaurant Ice Machines Contain More Bacteria Than Toilet Water, Study States. I never get ice in any of my drinks, or water when I am away from home. Sample from ten fast-food franchises — McDonald’s, Burger King, and Starbucks among them — and determined that in six out of ten locations, those innocuous-seeming cubes contained higher levels of bacteria than the water samples taken from toilet bowls at the same establishments. 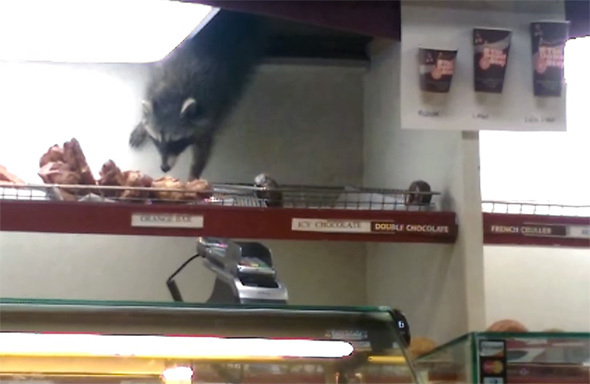 Raccoon Steals Donut From Coffee Shop In Toronto, Canada. I had to find out where this Coffee Shop was. Twitter states it was from Tim Horton’s.